Surprisingly, there was never a Halloween-themed episode of The Twilight Zone. Sure, almost every episode makes for perfect viewing this time of the year (especially ‘The Masks’), but the holiday was never fully exploited by the show. Does that make you sad? Because it makes me sad. Very sad. 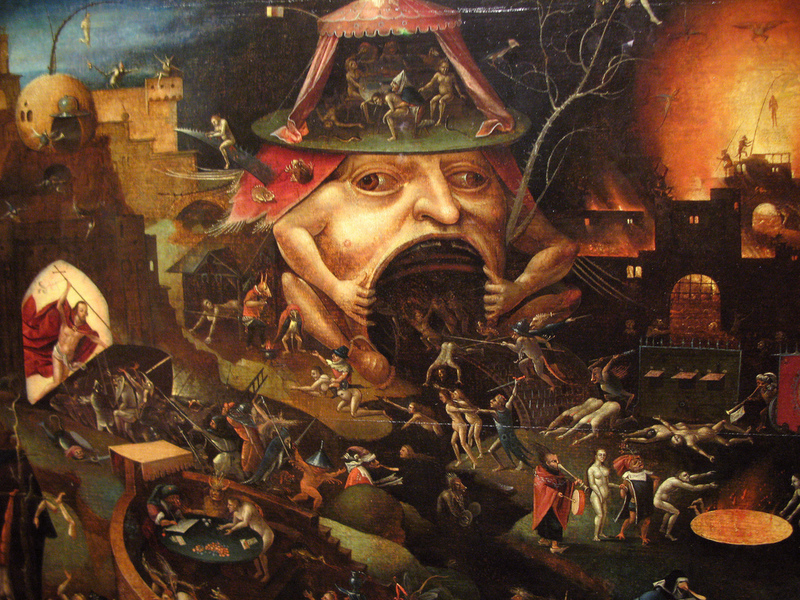 Though the series never delved into Halloween, there were at one point in time plans to remedy that. It was Steven Spielberg who came up with the idea of exploring Halloween in the Twilight Zone, though the tale simply wasn’t meant to be. 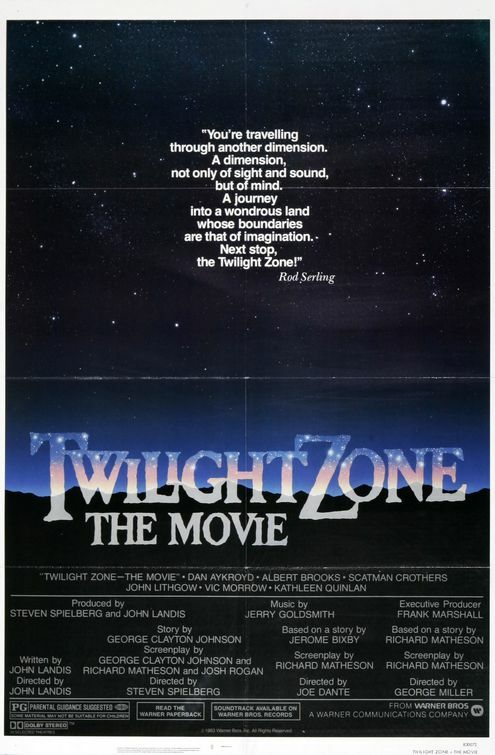 1983 saw the release of Twilight Zone: The Movie, an anthology of stories that were mostly based on iconic episodes of the show. Four shorts comprised the bulk of the film, three of them being direct remakes of original episodes and one (John Landis’ ‘Time Out’) only loosely inspired by an episode of the show. While Steven Spielberg’s contribution was a remake of the episode ‘Kick the Can,’ set in a retirement home, his original segment concept was quite different – an original story centering on a cast of young children. Story goes that Spielberg placed a call to legendary author Richard Matheson (I Am Legend), and it was he who wrote the script that would soon be left on the cutting room floor. Yes, Spielberg AND Matheson almost made a Halloween movie. If you weren’t sad before, I’m willing to bet you are now. Spielberg delved deeper into the idea in an interview with Starlog Magazine back in the 80s, revealing that he had originally planned on turning it into a feature length film for MGM. The only other thing we know about the scrapped Halloween segment is that Craig Reardon was going to be building the monsters for it. Reardon had around that time worked with Rick Baker on films like The Funhouse and An American Werewolf in London, and he’s perhaps most known for creating the iconic look of Sloth in The Goonies. Both Joe Dante and Richard Matheson cited budgetary issues as being the reason why the segment was nixed, though Spielberg noted in the Starlog interview that it likely had more to do with the horrible tragedy that plagued the production. While Landis’ segment was being filmed, a helicopter accident claimed the lives of Vic Morrow and two young children, which needless to say put a damper on the proceedings. Whatever the real reason, this is just one of those awesome projects that unfortunately got away, much like Stephen King’s ‘Pinfall’ segment of Creepshow. Sometimes in Hollywood, things just don’t end up working out, and it’s oftentimes us fans who suffer. That said, we did get gems like R.L. Stine’s The Haunted Mask and Michael Dougherty’s Trick ‘r Treat in the years since Twilight Zone‘s Halloween segment was cut from the film, so I suppose we can’t be too upset. When I imagine the segment in my head, those two Halloween favorites immediately come to mind, so let’s consider ourselves lucky that development Hell didn’t consume them too!